In a pot on the stove add all the ingredients except for the flour and the sugar and bring to a quick boil and shut off the burner. Add the flour and with a wooden spoon stir them together until you have a smooth paste like mixture. Place the mixture into a chrurro press. if you don’t have one, you can use a pastry bag with a number four tip or even a zip lock bag with the tip cut into it on a corner. In a frying pan heat about two inches of canola or vegetable oil to 350 degrees. Squeeze out four inch strips of the churro mix onto a sheet of wax paper. You can use a scissor to cut the chrurros as you squeeze them out. Take the out and place on a cookie sheet or paper towel to drain. 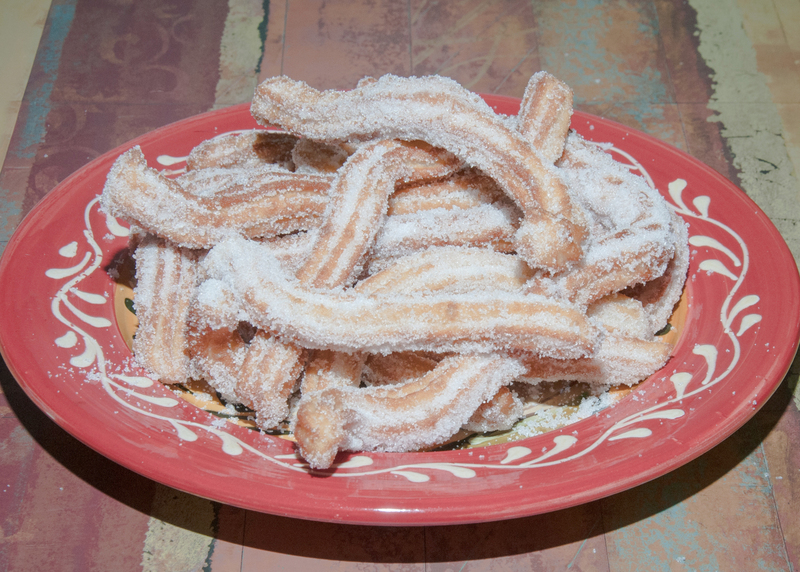 In a deep bowl place your sugar and coat your churros. Serve warm.